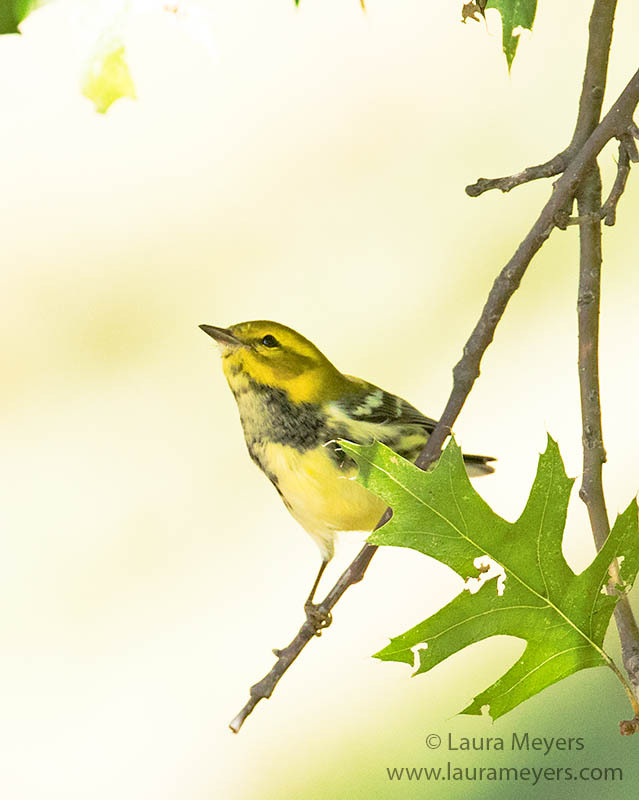 To hear the song of the Black-throated Green Warbler, click on the arrow below. 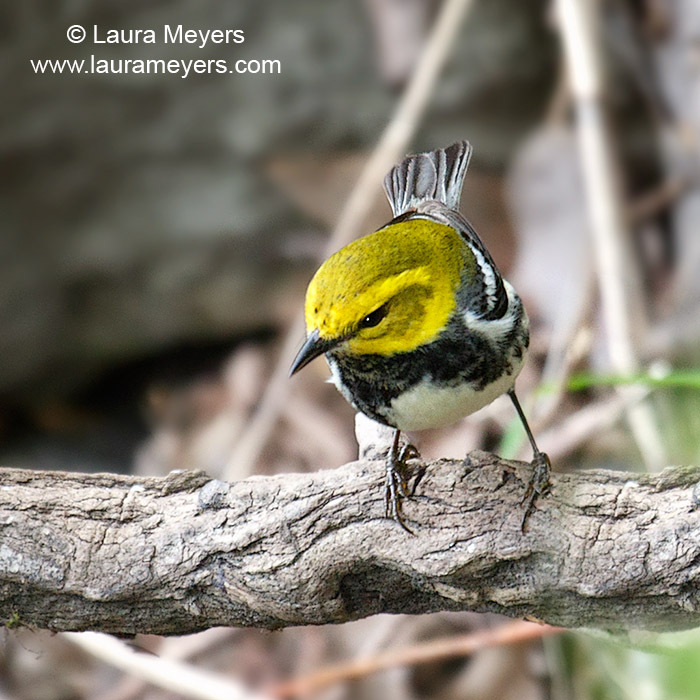 The male Black-throated Green Warbler sings persistently during the breeding season. One individual Black-throated Green Warbler was observed singing 466 songs in one hour.The male Black-throated Green Warbler tends to sing his “zee-zee-zee-zoo-zee” song near the middle of his territory, largely in the beginning of the breeding season to attract females. He sings the “zoo-zee-zoo-zoo-zee” song mostly around the territory’s margins, to deter other males.